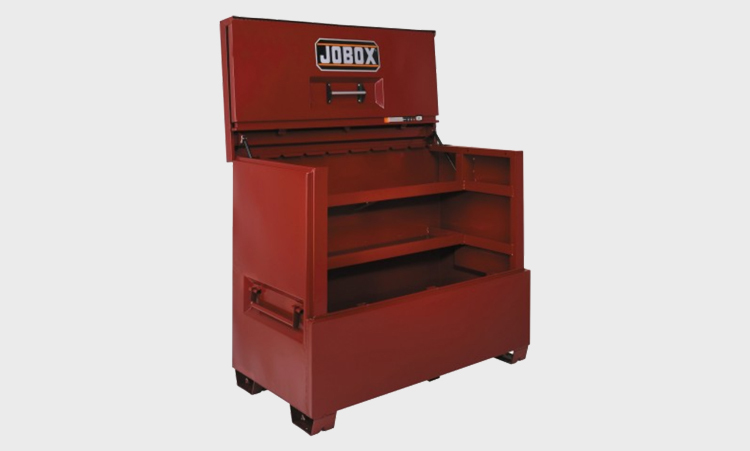 JOBOX- #1-656990 Heavy Duty On-Site Storage Chest 24.3 Cu.Ft. JOBOX- #1-680990 Heavy Duty Slope Lid Box Storage Chest 32.7 Cu.Ft. JOBOX- #1-682990 Heavy Duty On-Site Storage Piano Box 47.5 Cu.Ft.